Both great and quirky, surprising and familiar, curator Kelly Baum tells the story here of a particular moment in New Jersey during the 1960s and 1970s that influenced trends in art far beyond the specificity of its geographic beginnings. The individual careers of the artists involved (Robert Smithson, Nancy Holt, Allan Kaprow, George Segal, Gordon Matta-Clark, and several others) are certainly well-known, and the contributions they made toward creating what came to be called the “post-studio” and “post-gallery” practices (Conceptual Art, Land Art, Performance Art, Site-Specific work) are well-understood, but until now the key elements of this narrative hadn’t been drawn together into a coherent origin story. Neglected has been the crucial where these artists chose early on in their careers to live, work, learn, find community, teach, and gain inspiration: New Jersey. Baum makes the case here that New Jersey ought to become part of the standard telling of the development of advanced art in America from the post-war period through to the end of the 20th century. Here is the locus of an important link between artists and the American landscape. While an older America (industrial, small town, agrarian, sparsely-developed) crumbled, a new America (technological, suburban, interconnected, postmodern) was being constructed. The artists included here seized the opportunity to explore this odd, intriguing space of industrial ruin in dialogue with an emerging suburban, post-modern contemporary landscape, all within close proximity to the behemoth urban force of New York City. For most of these artists, New Jersey wasn’t a point of arrival. Rather, they quite directly saw it as a space of change, inspired by these tectonic forces at work, exporting these observational strategies and practices to the vast, open spaces of the American West and beyond. A crucial aspect of this story is these artists’ desire to break free from the confines of the gallery space, to be unconstrained by the spatial or conceptual limitations imposed by a conventional white-painted, four-walled gallery. Robert Smithson coined the term “non-site” to describe the mixed-media sculptures he first started making in New Jersey, inspired by his experiences (starting in childhood) seeing depressed towns, abandoned quarries, mines and other industrial ruins in the state. From these experiences, he developed a working methodology, realized numerous artworks, and constructed a full-blown theory of perception centered on the scattering, disorienting effect caused by these ruins. That Smithson and cohorts chose the hinterlands of New Jersey as their expanded, outdoor studio/collaborative space/classroom/laboratory should be encouragement for creatives today, who rightly lament the hyper-gentrification of a few cities once, but no longer, accessible, now unaffordable for artists (New York, San Francisco….) These New Jersey artists carved-out a type of art practice that sidestepped the traditional urban/bohemian/creative neighborhoods (for them, New York, principally), and also the need to rent studio space, to depend on support from mainstream arts institutions, and to use traditional methods of promoting and publicizing their work. Part of the larger story here concerns how artists build community, sometimes specifically creating work that required community participation. 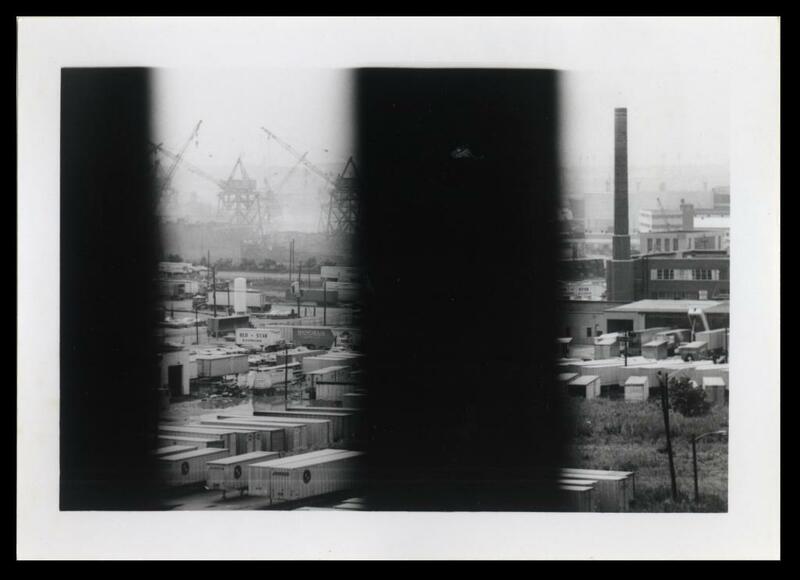 Allan Kaprow’s first “happening” took place in New Jersey. These real-time, semi-improvisatory performances took the shape of outdoor, loosely-scripted events, having a collaborative and directly-participatory character. They were often staged in places one wouldn’t have thought to see advanced art — the site of a former chicken farm, for example, where sculptor George Segal grew up. Another example of community building took the form of roaming, exploratory road trips organized by Nancy Holt and Robert Smithson that assembled diverse groups of artists and critics, that the participants referred to variously as “field research” or “prospecting,” encouraging both social interaction and a sort of collective authorship. Nancy Holt developed several works through these road trips. Where does art happen? Where is the site of inspiration, creation and reception? These are the implicit questions posed by this catalog. The answers provided by this particular collection of artists involved side-stepping older ways of working and striving to define new types of relationships between artist and audience, workspace, material and arts institution. As the organizers of this catalog concisely describe it, this was one of those rare places and moments in time when the “where,” the “why” and the “how” of art all changed.